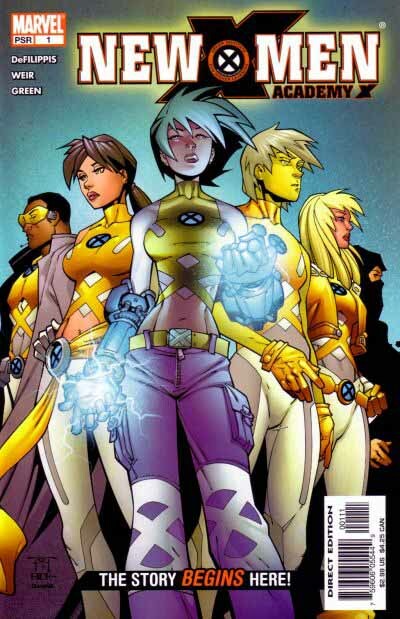 The biggest problem with the title New Mutants as part of the franchise is that it doesn’t have an X in it. This logo solves that problem by placing an attractive Xavier Institute symbol at the center with a familiar X in a circle. The banner behind also has more of those. The logo letters are drawn from a serif font, either Copperplate Gothic or another very similar to it. The overall effect is attractive, though a bit too busy to my eye, too many overlapping elements. One thing in its favor is that it doesn’t take up much space vertically, leaving lots of room for the art. In fact, the art on this cover seems to have been designed for a taller logo. 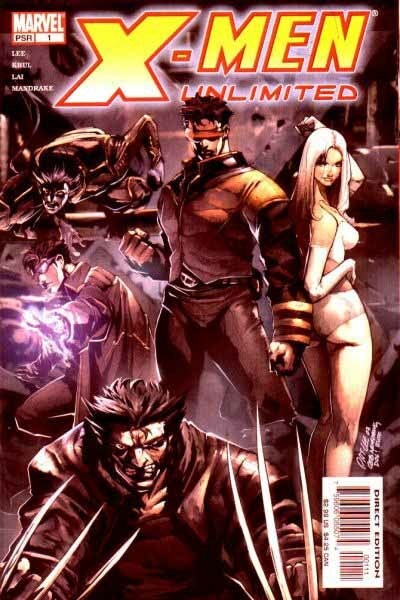 This relaunch of NEW X-MEN in 2004 uses the same Xavier Institute symbol in the center, but this time in a less crowded and more attractive layout. The large X with two extended arms makes a good background to the rest of the letters, and the book title can be read using either the center symbol or the large X, a clever idea. The words NEW and MEN are from the slab-serif font City Bold, and I think they work well here. I like it. Over in the adjectiveless X-MEN, the same X is used with similar slanted letters, though those letters have drifted rather far away from the classic proportions usually seen, with the diagonal stroke of the N very wide, the horizontal strokes of the E comparitively thin. The airbrushed special effects distract from this some, but the letters still look “off” to me. The large, thick X continues to dominate the logo and the cover, it’s strongest selling point. 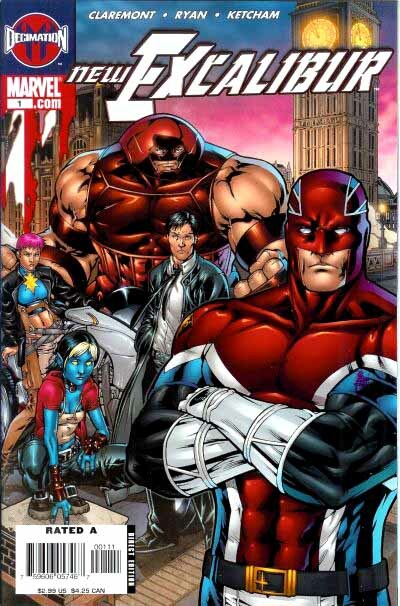 A relaunch of X-MEN UNLIMITED in 2004 uses the same X-MEN logo, though we can see the outlines and proportions better here. The word UNLIMITED is in a much thinner rounded font that provides a good contrast to the rest, but the fact that it’s a solid color means it could get lost in busy artwork behind it. The problem is sidestepped here by having a white airbrush glow around the entire logo, which allows it to be very readable. Another relaunch that year was ASTONISHING X-MEN, once more using the same X-MEN logo, this time with some perspective and with the X over a circle, adding some design contrast to all the straight lines. The word ASTONISHING is in a very square font that works fine, though I’m surprised it wasn’t also put in perspective to match the rest. The airbrushed effects in the X-MEN letters give them some three-dimensional lift, which I like. In all, an effective logo. 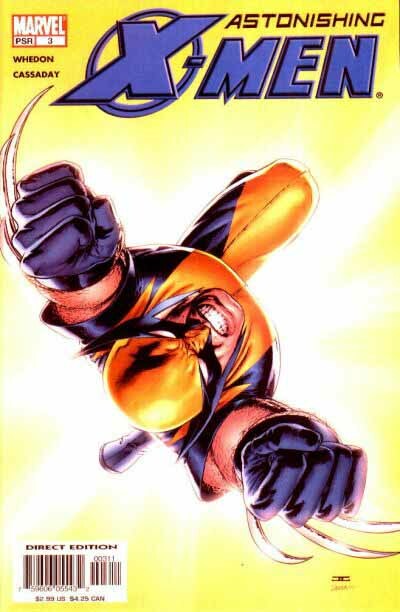 UNCANNY X-MEN got this revised logo in the same year, returning to the tried and true Jim Steranko design, but using the heavier X with two extended arms seen on many of the other franchise titles. Here airbrush effects seem to be fighting the shapes of the letters, especially in UNCANNY, which has become so distorted in places that it’s hard to read. I do like the black drop shadow with the magenta glow behind it, though, that’s effective. Finally, one more relaunch in 2004, of EXCALIBUR, once again using the heavy, slanted X, this time with sword-like horizontal extensions that add some energy. The rest of the letters are relatively thin block shapes, though attractive ones that work well for me. I also like the overlap of the E and the C on the X. I would have pulled the letters a bit further apart so the R ended closer to the two points of the X, though. And it might have added a bit more energy to slant all the letters to match the X. Not a bad logo, though. 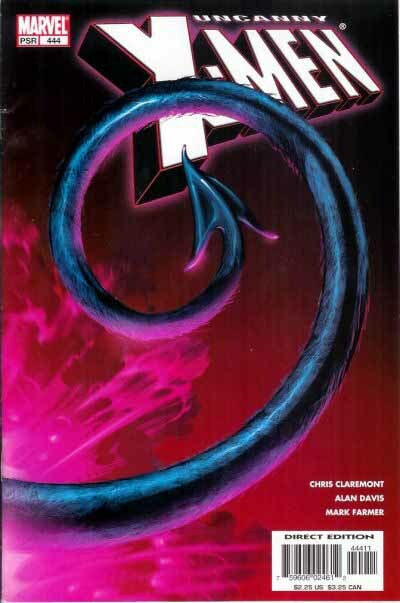 2006 brought in another set of logo revisions for several of the X-franchise titles, something that seems to happen with increasing frequency on many comics. In fact, I’d better hurry and finish up this logo study before a new batch comes out! EXCALIBUR gave way to NEW EXCALIBUR with this relaunch. Here the familiar X has been subsumed into the word, with the E now largest by far. This logo uses a font with notches that normally add interest to the letters, but here, where they’re stretched vertically and heavily slanted, the notch effect kind of gets lost. The logo would have benefitted from having the NEW put above the rest, leaving more space for EXCALIBUR to be stretched out horizontally. 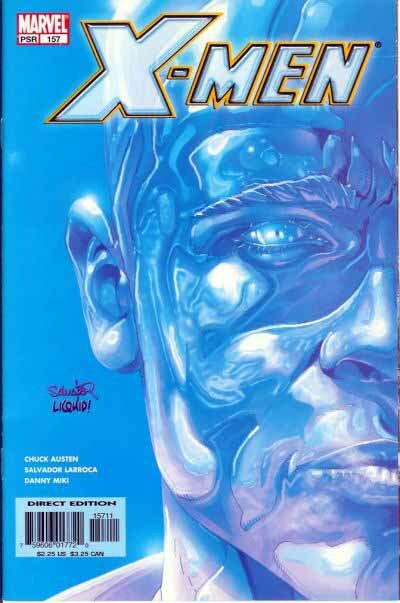 NEW X-MEN’s logo was redesigned for issue 20, using the familiar heavy X with the other letters in a square design with some rounded corners, a more sleek and modern look. I like it. And I approve of the way NEW is used here, small and overlapping, allowing the emphasis to fall on the X, where it should. One more relaunch, X-FACTOR, with a logo I like very much. It’s the familiar heavy X, but with a clever symbol in it that suggests a person making an x with arms and legs, in the style of the universal symbols used on road signs. I don’t know if that was the intention, but that’s how I see it, and it’s a cool idea. The rest of the letters are attractive, in a block style with thicker vertical strokes and thinner horizontal ones, and many rounded corners. Very well done. Two more titles featured new logos in 2006 designed by Rian Hughes. I’m going to talk about them in the last installment of this logo study. Only two more titles, you’re thinking, why not add them here and be done? All I can say is, there’s LOTS to talk about. Stay tuned! This entry was posted in Logo Studies on October 14, 2007 by Todd. With New Excalibur, I think they kept the sword motif. The NEW is supposed to serve as the grip on the hilt of the sword. The E would be the guard of the hilt on the sword. The XCALIBUR would then be the sword. Thanks for pointing that out. A nice idea, but too subtle the way it’s done, I missed it completely. I hate to critique the master’s take! But to my eye that adds a whole new problem, making the whole thing read as NEW X-MUTANTS. The final logo in this installment not only has one iconic “person” in a solid color, it has two more such “people” in outline. I see that as a visual reference to Jamie Madrox, the team leader and principal viewpoint character, who has the ability to create duplicates of himself. 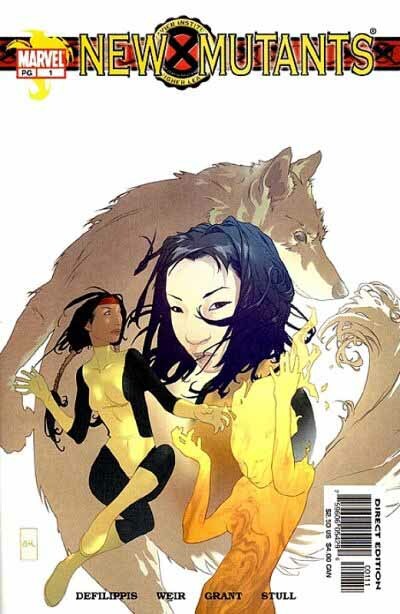 You do have a point, T, I hadn’t noticed that about the New Mutants logo. Thanks for the additional info about the last logo. I guess it’s obvious I’ve never read an issue. 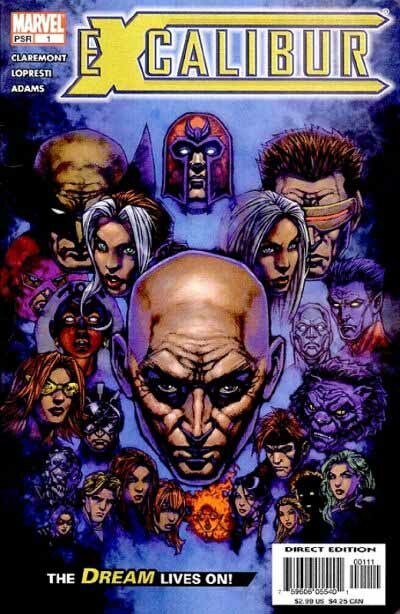 The figures within the “X” of the X-FACTOR logo may be referring to protagonist James Madrox’s ability to multiply himself. 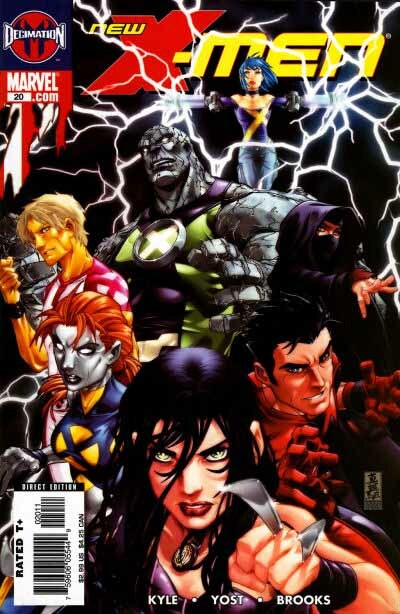 The success of the Madrox mini resulted in the current iteration of X-Factor. 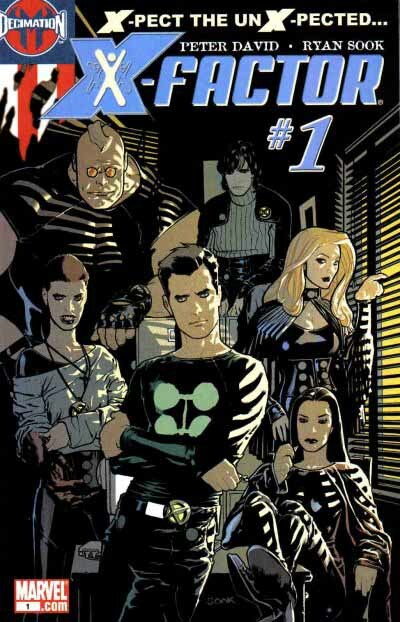 The X-Factor “X” is taken from the MadroX miniseries the year before – it’s most certainly a reference to Jamie Madrox. Wish I had found this a year and a half ago when I was still at Marvel! 🙂 Though any and all constructive feedback is greatly appreciated. Thanks for this Todd! Hi Jeof, thanks for checking in!